Under the direction of Dr. Mike and Rhonda Garrett, Christian Counseling Associates of Raleigh is fully qualified to provide our clients with a wide range of counseling therapies, all delivered from a Christian perspective. The emphasis of our practice — our calling — is providing distressed and damaged couples with the insights and activities that will allow them to save their marriages and get them on a positive path. We also provide adult individual and adolescent therapy. Our marriage counseling services take on a number of formats and approaches; but all balance years of counseling experience with our Christian faith. Our Connected Marriage Home process draws on the foundation of 10 building blocks and a series of activities and methods to help clients get their marriages back on track. Whether couples are suffering due to infidelity, financial pressures, parenting conflicts, intimacy issues, blended family challenges or other problems, counselors at Christian Counseling Associates of Raleigh excel at identifying root causes and building plans for recovery. Couples Counseling — Hourly or extended sessions in our office with our licensed counselors on a regularly scheduled basis, with a goal-focused approach to improving marriages. Marriage Tune-up — We offer a one day personalized Marriage Tune-up for any couple. This involves one couple with two therapists for 8 hours in our offices. 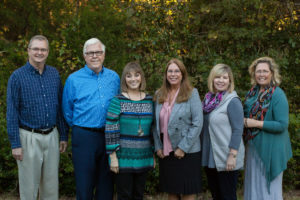 Individual Counseling Services — Usually, but not always, evolving from our couples-based counseling, Christian Counseling Associates of Raleigh can provide counseling in a variety of areas such as depression & anxiety, stress or anger management, overcoming bad habits, parenting issues, conflict management and spiritual issues. Adolescent Counseling — We do provide therapy for boys and young men ages 10 and up. See our Services tab on the home page for further information. Life Coaching — Counseling is about problems. Coaching is about finding purpose and direction. We offer a full life coaching service to help individuals find their way in life and learn how to overcome obstacles to life goals and mission. In nearly every case our relationship with clients begins with a free 15 minute phone consultation. We have learned over the years, that this is the best method for us learn about each other, ask questions, determine whether our practice can be an effective choice and, in most cases, begin to devise a plan to help address our client’s challenges. If you’d like to learn more about our approach to relationship counseling, please fill out our contact form to the right. A member of our team will follow up to get the process started.